Sarawak Energy has invested in major projects to significantly improve and strengthen system performance, delivering more reliable electricity supply to its customers. Currently, Sarawak Energy has several plant construction projects underway, advancing the overall network and production of energy for the people. One of Sarawak’s largest infrastructure projects. The HEP will add an additional 1,285 MW of renewable capacity into the grid when it is fully commissioned and it will help to meet Sarawak’s vision for sustainable growth and prosperity. The 188 metres high Concrete Faced Rockfill Dam (CFRD) will be located on Baleh River, about 95 km upstream from its confluence with the Rajang River in the Kapit Division. The project will not involve any community resettlement. Sarawak Energy has received SEIA approval for Baleh HEP from Natural Resources and Environment Sarawak, NREB in 2015 and State Cabinet approval in 2016. Balingian Power Plant will be Sarawak’s third coal-fired power plant, consisting of 2x300MW generating units. This project is currently under construction by Shanghai Electric Group. The plant utilises Circulating Fluidised Bed Boiler Technology and it is the first subcritical pressure CFB Boiler in South East Asia of such size. Balingian Power Plant is expected to begin commercial operation in 2019. Tanjung Kidurong Combined-Cycle Gas Turbine (CCGT) will be an extension of existing Kidurong Power Station at Bintulu, with 2 Combined-Cycle blocks currently under construction, adding total 800MW (2x400MW) generating capacity at Kidurong Power Station. The 1-on-1 GT and ST are arranged in multi-shaft configuration enabling Open-Cycle operation (i.e. only gas turbine is running). An integrated cooling water pump house will be circulating sea water as cooling medium to both CCGT blocks. The gas turbine deploys twin combustor (EV and SEV) innovative design resulting in improved performance, low exhaust emission while maintaining high operating flexibility. The two CCGT blocks which are targeted to be commissioned by 2021, will be one of the highest net efficiency power plant among Sarawak Energy’s generation fleet. In 2013, Sarawak Energy embarked on the 500kV Second Backbone Transmission Grid—a massive state infrastructure upgrading project costing RM2.7 billion. The critical package was completed in 2017, further enhancing the reliability of Sarawak’s electricity supply. 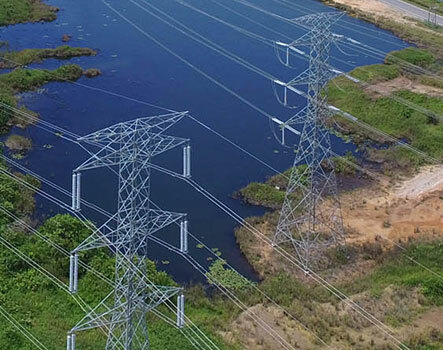 The latter is done through providing additional circuits or lines parallel to the existing 275kV transmission line, connecting major power stations to load centres in southern of Sarawak. The second backbone also provide adequate transmission security and capacity for future load growth, particularly at Samajaya and power export to West Kalimantan. IMPROVE RELIABILITY OF SUPPLY TO MIRI, LIMBANG, LAWAS AND THE SURROUNDING AREAS. Sarawak Energy has committed to develop the Northern Grid, expand the State Grid to the whole length of Sarawak, reaching the last major populated centre. With a second EHV injection into Miri, the supply reliability and security is improved. Limbang and Lawas regional network will be connected to the State Grid and allow the closure of the existing Limbang and Lawas diesel plants. This development will also provide capacity to meet Limbang and Lawas load growth in the long term and allow the connection of numerous villages under Rural Electrification Scheme (RES). Furthermore, this project will provide injection point for future power export to Sabah.